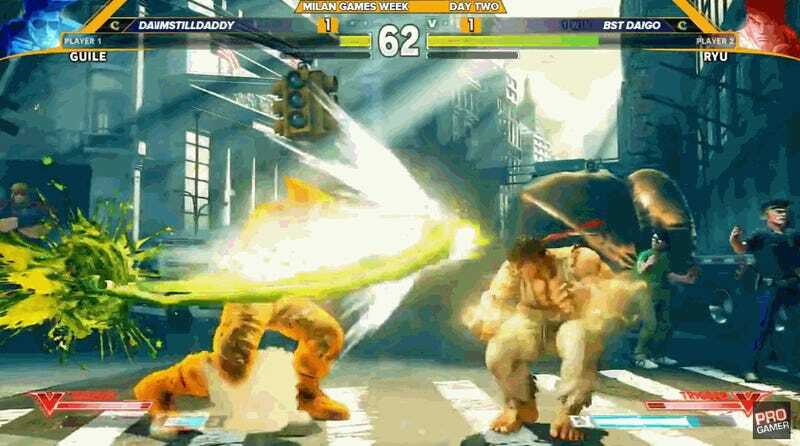 Daigo Umehara is a legend when it comes to fighting games. Referred to sometimes as Daigo “The Beast” Umehara, the pro Street Fighter V player didn’t exactly need to win the European Regional Finals to qualify for Capcom’s Pro Tour. He would have gotten in on points alone. But that didn’t stop him from comfortably winning most of his matches and going on to take first place in the tournament at Milan Games Week. Although he faced Arman “Phenom” Hanjani in the grand finals, someone who has also already qualified for the tour, one of Daigo’s more stunning moments came in an earlier match-up against ImStillDaDaddy during the Top 16. The series went 2-1 in Daigo’s favor, despite a good performance from ImStillDaDaddy, who finished fourth overall. And looking at the above finish, you can see why. ImStillDaDaddy is a master of Guile’s sonic boom, but Daigo’s Ryu wasn’t having it, somehow blocking all of them in the final moments of the match even as his opponent tried to come at him from the other side. You can watch the complete set between ImStillDaDaddy and Daigo below. The North American Region Finals will be held at the beginning of November in Seattle.